Offering clients services for waxing, facials, skin care and treatments. 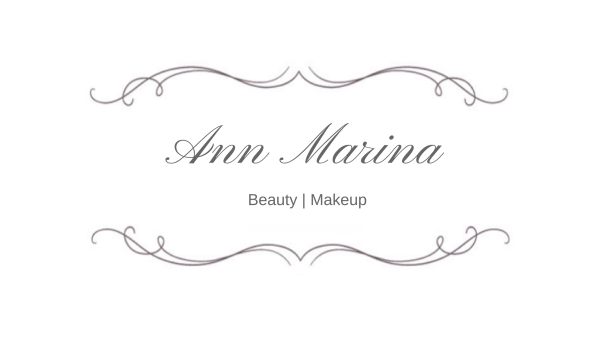 Makeup application, special occasion, bridal, boudoir and photography. theatre,TV, movies and fashion shows..Natural Healthy Living counselling with alternative therapies. For private and commercial clients. Bridal Boudoir. Special Occasion and specialising in Fim, Music Videos TV commercials - focusing on Special Effects and Character Creation. II am a fully Diploma Qualified Makeup Artist, Beauty Therapist (Esthetician) and Counsellor in Chinese Herbal Medicine for health and weight loss with over 20 years experience in all fields. Now I have decided it`s a good time to wind down a little and share what I`ve learnt from all my experience. I`m educating people with free makeup tutorials, tips and advice on makeup, beauty care and leading a healthy natural lifestyle. This came about because I have noticed on social media the rise in popularity in makeup and beauty`enthusiasts` or `influencers and honestly, some of the advice they give has made me cringe with what they are saying. I really want to set the record straight and also make it safe for people wanting to apply their own makeup, use correct products for their beauty routine and find more healthier options for skin care, makeup and lifestyle. ​Amazing makeup that lasts all night and looks totally flawless doesn`t just happen on it`s own, especially in specific problem areas such as acne, excess oil or dry flaky skin. As an Esthetician (Beauty Therapist) and Natural Therapy counselor, I can expertly advise you on what can be done to have beautiful glowing healthy skin that will help your makeup application and take it to the highest level of professionalism. I believe in a natural healthy lifestyle and beauty products that are safe and reliable - my advice and tips are sourced from this belief. Beauty is more than skin deep, it doesn`t mean you need to look like a model, it`s being beautiful within as well as on the surface. Leading a healthy happy life with a positive outlook wiil make you glow from within and have a healthy fresh complexion. Following the advice of Professional Makeup Artists and Estheticians who have many years experience is the best way to go - you know you are in safe hands. Enthusiasts and Influencers haven`t had professional training. They're usually young men and women who have only applied makeup on themselves and maybe a few friends, but this doesn't give them the experience to know how to apply makeup for all skin types, colours etc., or recommend beauty products. I admire their enthusiasm and respect their passion and how much they want to help people, but without professional training from an accredited school they really aren`t qualified in any way - just enthusiastic and passionate hobbyists. There is a big difference !! If you were going out to an expensive restaurant would you expect an enthusiastic and passionate cook to prepare your meal? (which I'm sure would taste delicious) or a fully qualified and professionally trained Master Chef? I know what I would prefer !! The big difference is that a professional makeup artist is trained in putting makeup on other people, to enhance beauty, balance features, cover blemishes, create characters - they know every different skin type, face shape, skin problem and many many more things. I write more about it in my blog post `Why Another Makeup, Beauty and Lifestyle Blog? and I highly recommend you read it to fully understand what you will gain by following my free tutorials, blog and the latest beauty news in my newsletter. Learning correctly from a professional will give you the best experience which will show in your flawless makeup application and savvy spending on cosmetics and makeup. If you have any questions, please Get In Touch , I`m happy to answer any and all questions.